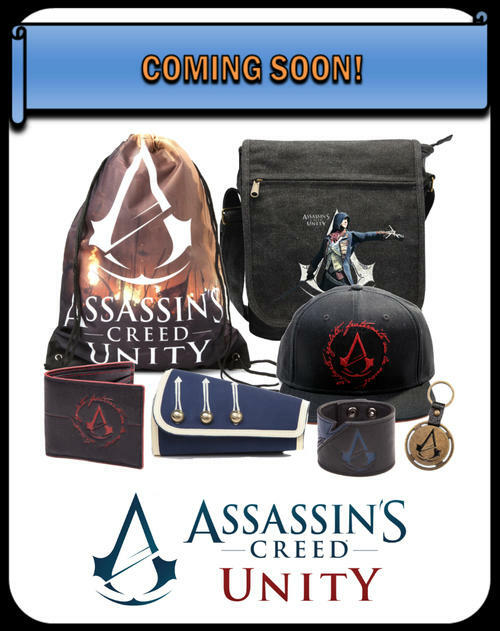 GREAT NEW RANGE OF ASSASSINS CREED UNITY PRODUCTS COMING SOON. CLICK ABOVE TO VIEW FULL DETAILS OF OUR ASSASSINS CREED RANGE. 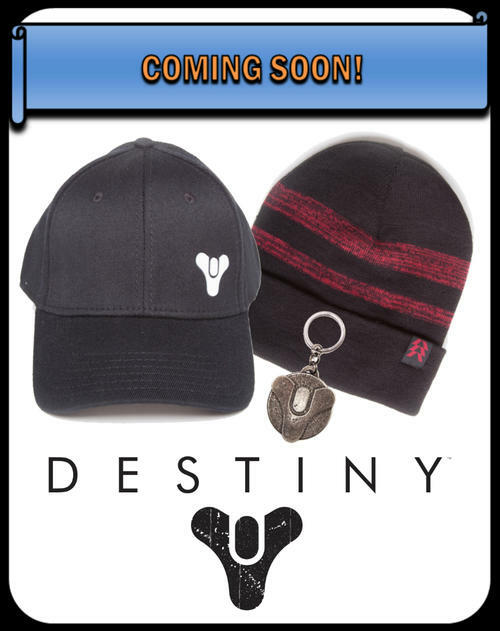 GREAT NEW RANGE OF DESTINY PRODUCTS RELEASED. CLICK ABOVE TO VIEW FULL DETAILS OF OUR NEW DESTINY RANGE. 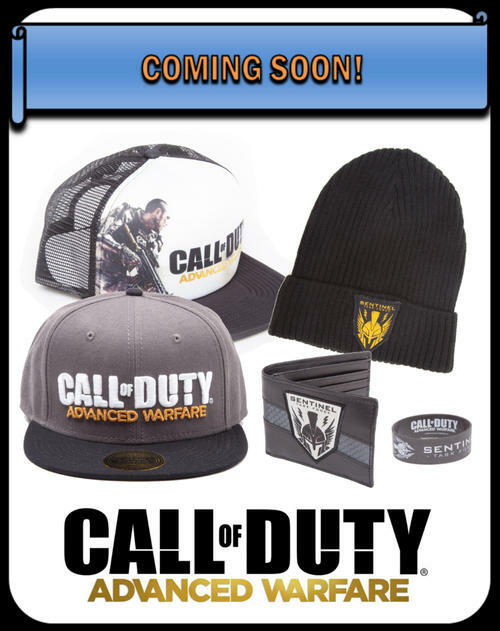 GREAT NEW CALL OF DUTY MERCHANDISE COMING SOON. CLICK ABOVE TO VIEW FULL DETAILS ON OUR FULL CALL OF DUTY RANGE. 3 INCH ARTICULATED FIGURE ASSORTMENT RELEASED. CLICK ABOVE TO SEE THE FULL SONIC THE HEDGEHOG RANGE. ZELDA GYM BAG WITH TRIFORCE LOGO FINALLY AVAILABLE. CLICK ABOVE TO SEE FULL DETAILS OF OUR EXTENSIVE ZELDA RANGE. LUNCH BAGS, WALLETS AND MUCH MORE ADDED TO OUR ADVENTURE TIME RANGE. CLICK ABOVE TO SEE FULL DEATILS OF WHAT IS AVAILABLE. NEW PLUSH INCLUDING BOO AND BABY PEACH RELEASED. CLICK ABOVE TO SEE THE FULL DETAILS OF OUR SUPER MARIO RANGE. 20TH ANNIVERSARY SUPER SONIC DOUBLE PACK IN STOCK NOW. CLICK ABOVE TO SEE THE FULL SONIC THE HEDGEHOG RANGE. NEW DC PRODUCTS FROM BEANIES TO IPAD CASES AVAILABLE NOW. CLICK ABOVE TO SEE THE FULL DETAILS OF OUR DC UNIVERSE RANGE. CARTMAN AND KENNY BEANIES IN STOCK, GET YOURS NOW! CLICK ABOVE TO SEE THE FULL DETAILS OF OUR SOUTH PARK RANGE. GREAT NEW HEADWEAR TO CAP OFF OUR ADVENTURE TIME RANGE. CLICK ABOVE TO SEE THE FULL PRODUCT DETAILS AND VIEW OUR ADVENTURE TIME OFFERS. WRISTBANDS AND NECKLACES FROM THE POPULAR ASSASSIN'S CREED LICENSE AVAILABLE NOW.CLICK ABOVE TO SEE THE FULL RANGE.